Applicable to poor road conditions in the short-distance transport. 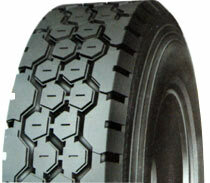 Mix of large longitudinal groove tread design makes tire has a strong hold of the performance and traction properties. Deepending pattern design makes tire has a strong anti-puncturing resistancer and high mileage. Special strengthen carcass structure to ensure that tires have a strong bearing capacity.